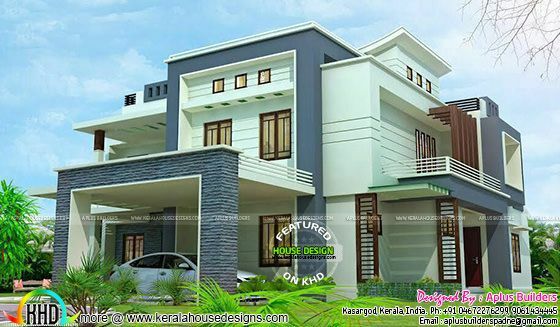 Introducing a new member to KHD family, Aplus Builders from Kasaragod, Kerala. Total area of this modern style mix roof house plan is 2768 Square feet (257 square meter) (308 square yards) with 6 bedrooms. 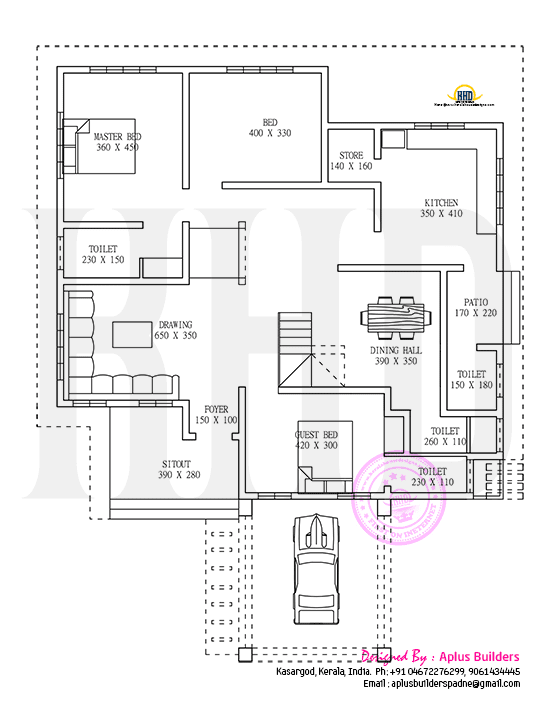 0 comments on "Floor plan and elevation by Aplus Builders"